Due to extremely popular demand popular demand, Fleetwood Mac has added a number of new shows to their upcoming Australian tour for October and November. The new shows now mean an extra show in both Melbourne and Sydney, and a first show in Adelaide - wowzas. Since 1998, Fleetwood Mac have been touring as a five piece band. 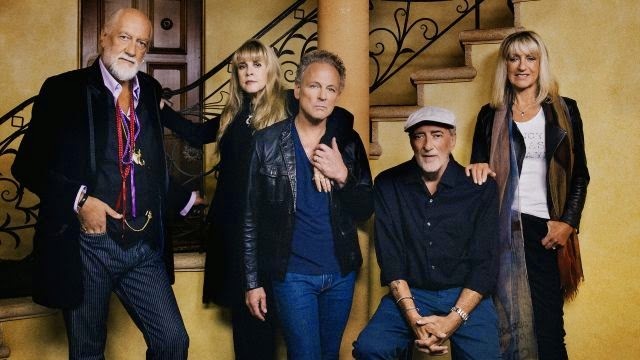 The current line up features Lindsey Buckingham on vocals and guitar, Stevie Nicks on guitar, Mick Fleetwood on drums, John McVie on bass, and Christine McVie on keyboards and vocals. 2014 saw Christine McVie rejoin the band after a 13 year absence. Their appearance later this year will be the first time since their sold-out Unleashed tour in 2009. The shows added in both Sydney and Melbourne will see Fleetwood Mac playing Sydney’s Allphones Arena on Sunday October 25 and at Melbourne’s Rod Laver Arena on Friday November 6. Tickets for all three new shows will go on sale at 10am on Wednesday, April 15. American Express Card Members will have an opportunity to purchase tickets before the general public from midday on Thursday, April 9. Visit facebook.com/AmericanExpress for complete pre-sale information. My Live Nation members can also be among the first to secure tickets during the pre-sale beginning at 10am on Monday, April 13. Dates, new shows, and ticket info are below. Don't miss out on this killer opportunity!